I have never owned anything “Jaguar” before. 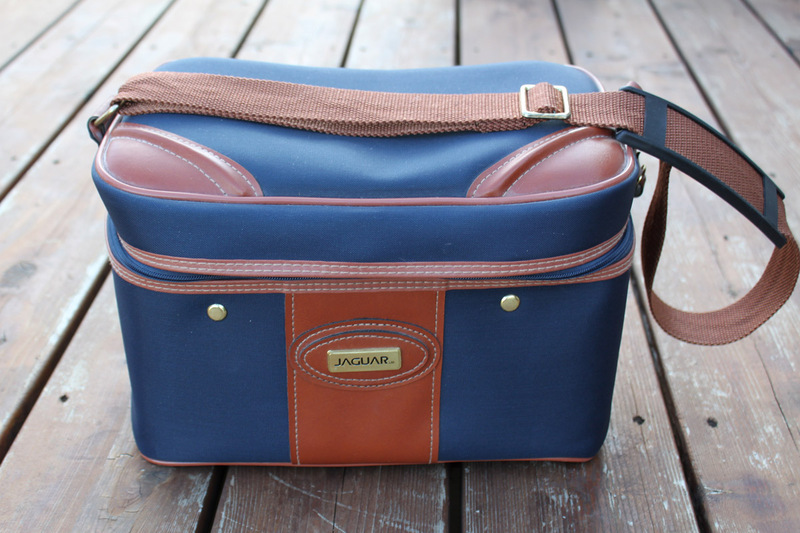 I have had luck selling hard-shell train cases, so when I saw this gorgeous blue Jaguar train case I decided to buy it. These little luggage pieces can be used for their intended purpose of flight necessities or a makeup case, but it can also be used for storage items in the bathroom or even barbies for a little girl. Here is another vintage case. 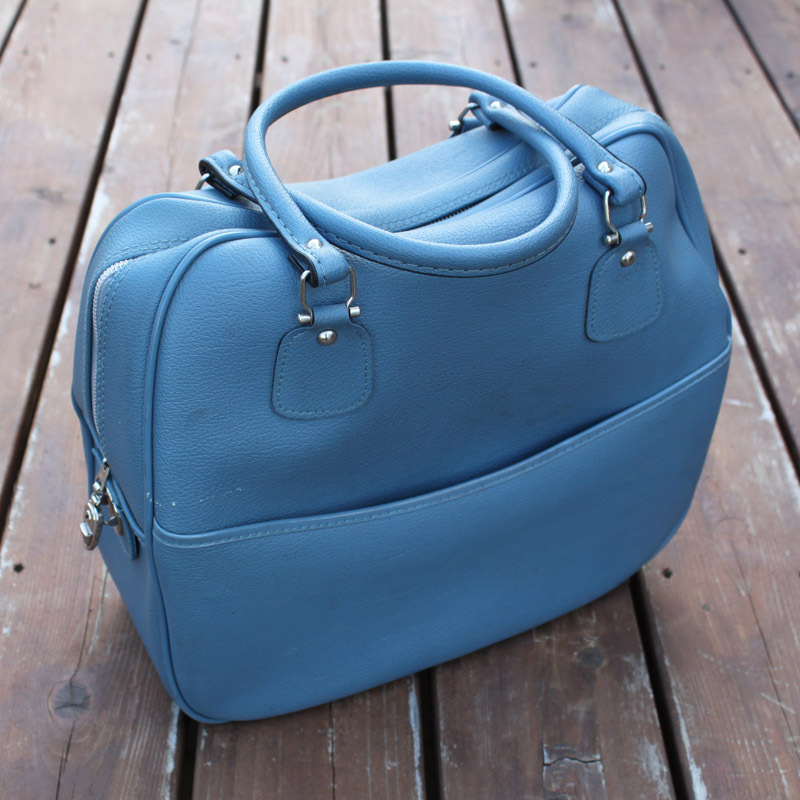 It is a soft shell tote from Reliable Luggage. I like the shape of it. 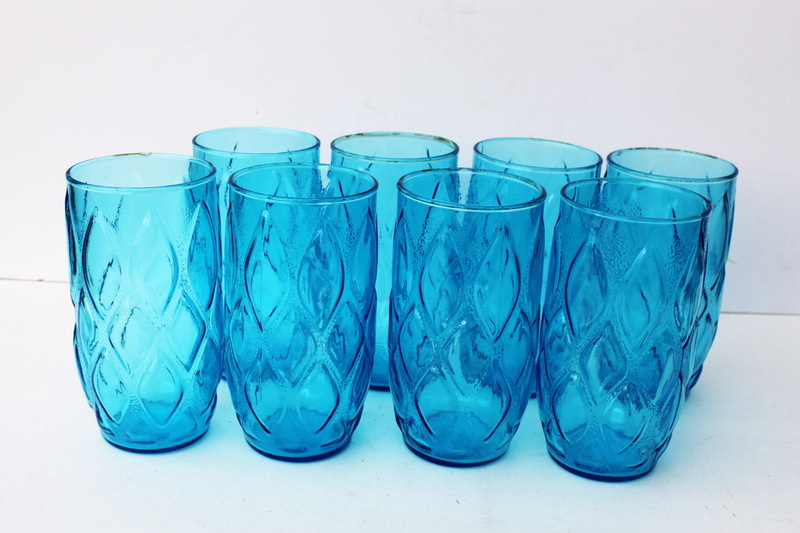 Look at these lovely blue Anchor Hocking Glasses. The blue is striking. Love that it is a set of eight. 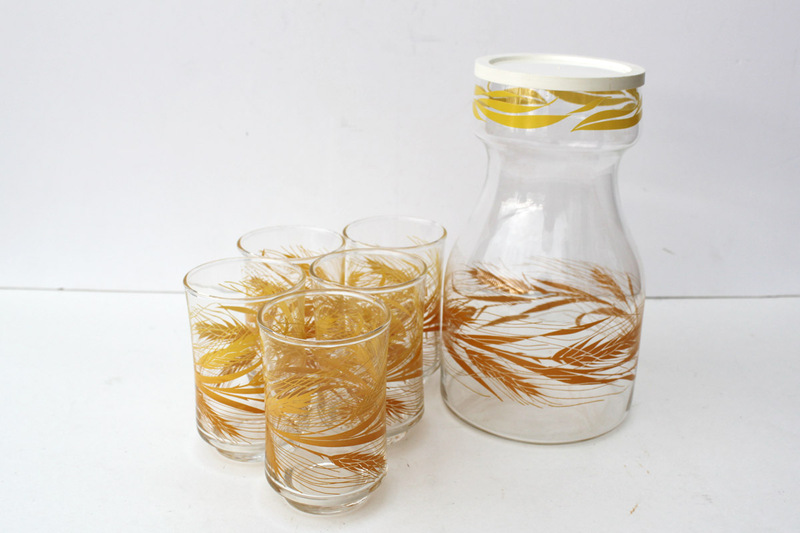 Here is an orange juice glass and decanter set. It has wheat going around the base. I am sure this is a late 1970s early 1980s set. I like the shape of the pitcher. 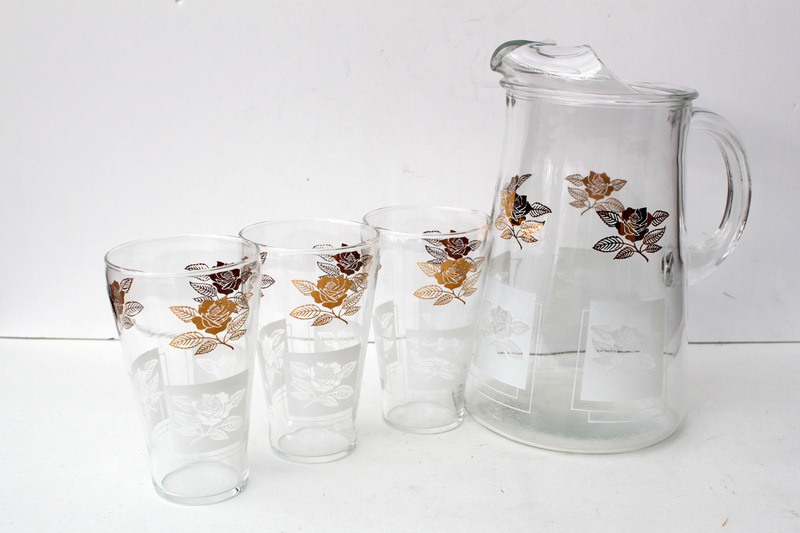 This pitcher set and only 3 glasses is stunning with its gold and white rose decals. The gold shimmers, but I could not get a photo of it shimmering. Not sure it will sell well because it only has three glasses, but the pitcher is so worth it. 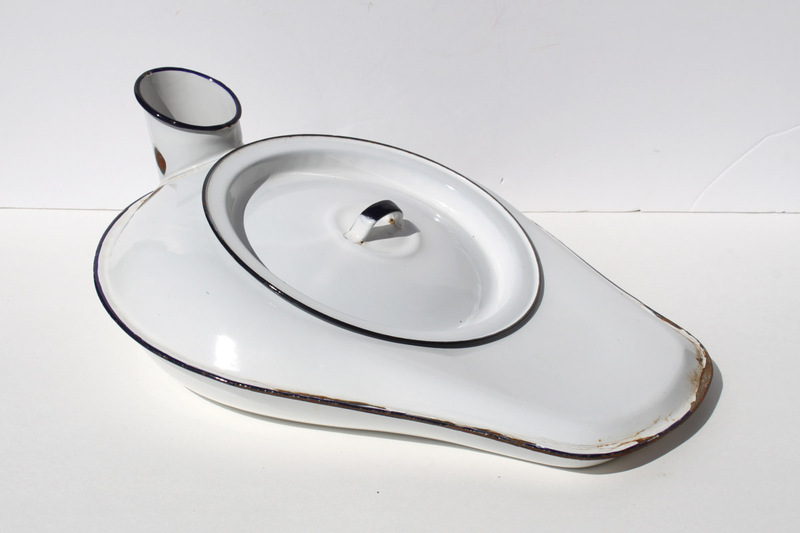 Finally this unusual piece of a history, an enamel bed pan for him. Love that it is chippy and rusty but the lid is still with it. Could be an “interesting” statement piece if used as a flower-pot in your yard. Are you finding any unusual pieces?